Joining the Air Force, Senior Airman Ishmar Sanchez knew he would face many challenges, but he never imagined he would face one of the strongest hurricanes in the United States. 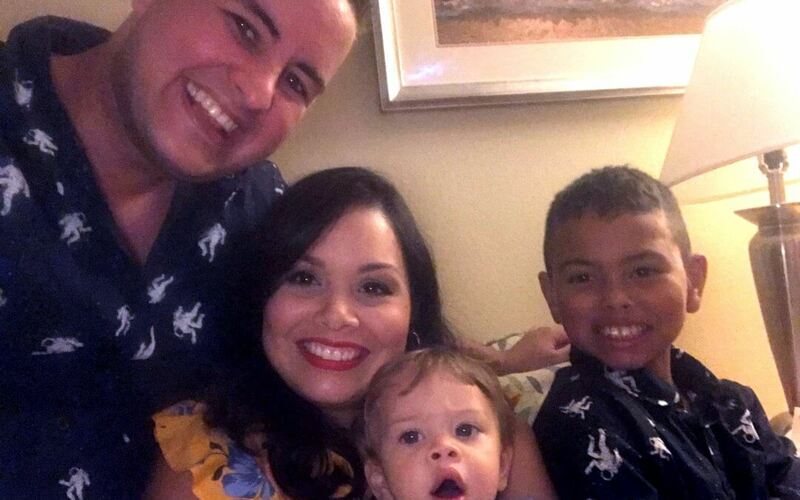 As a San Juan, Puerto Rico, native, Sanchez was familiar with hurricanes, but Hurricane Michael was different because Sanchez had to ensure his wife and their two sons were safe. By 7 a.m. the next morning, thousands of Airmen and their families were officially notified to evacuate. The Sanchez family decided to relocate to Orlando due to its proximity to Puerto Rico. After about two weeks in Orlando, the family relocated again to Patrick Air Force Base, Florida. Shortly after Hurricane Michael, Tyndall Airmen were permitted to return to the base to grab what they could from their homes, which created another expense. “About 60 percent of our stuff was damaged, but we had to buy totes and supplies to salvage what we could,” said Sanchez. Sanchez found relief from his squadron’s Facebook page where he saw the Air Force Aid Society was providing $1,500 for Airmen with dependents. “It was a godsent, I didn’t have a government travel card, so our finances were uncertain, but the grant came out of nowhere and helped us resolve our immediate issues,” said Sanchez. In total, the Air Force Aid Society provided $6.5 million in emergency assistance grants to Airmen just like Sanchez. Additionally, the Air Force Enlisted Village collected hundreds of thousands of dollars in donations to help Airmen purchase essential items. Now on their third relocation, the Sanchez family is settling into their new life in Hawaii, where Sanchez is now assigned to the 15th Aircraft Maintenance Squadron. Their family will soon have another adjustment—they recently found out they are expecting their third child.